A mix of 4 heirloom varieties; Rouge de Hiver, 4 Seasons, Royal Oak Leaf, Grand Rapids, blended to create colorful mixtures with varying colors and leaf types. 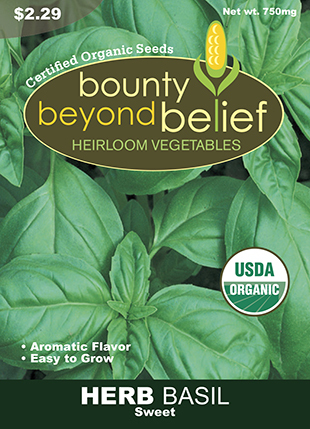 This garden blend is selected for heat and drought tolerance. All Season Sampler is an excellent choice for sowing in containers and gardens throughout the year. All Season Sampler Lettuce Blend is a mix of 4 organic, heirloom lettuce varieties; Rouge de Hiver, 4 Seasons, Royal Oak Leaf, Grand Rapids, blended to create colorful mixtures with varying colors and leaf types. 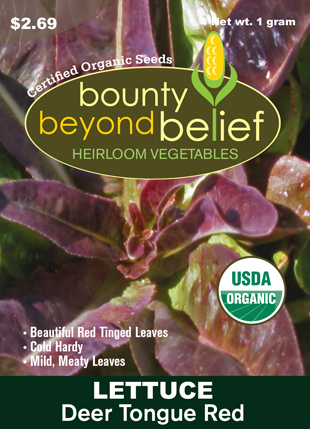 This garden blend is selected for heat and drought tolerance. All Season Sampler is an excellent choice for sowing in containers and gardens throughout the year. Germination temperature: 60-70 deg. Approximately 22,400 seeds/oz. Planting and Care Directly sow the seed into well drained fertile soil with lots of added organic matter as soon as it can be worked in the spring or in a patio container. Repeat plantings at 2 week intervals until late spring and again in the late summer to early fall. Water generously and fertilize when the plants are 3” (7.5 cm) tall. Provide light shade for the late spring and summer plantings. Harvest Pick the individual leaves anytime as needed. Use young leaves in salads and mature leaves can be braised or used in stir-fry and soups. Your Health Green leafy vegetables are low in saturated fats and are a good source of dietary fiber and many vitamins and minerals.